Synergistic blend of selected non-pathogenic microbes with non-toxic formulation of biological activators, which digest hydrocarbon, oil, grease and organic molecule. - Neutral pH, non-corrosive, non-hazardous, non-flammable. - For smell of dirt at landfill or group that foul. 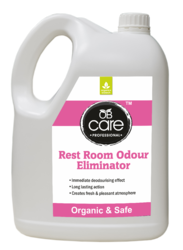 - Eliminates and degrade organic substances as unpleasant sources . A Gas Odor Neutralizer with activated Physico-chemical natural adsorption technology which is comfortable, discreet, antimicrobial and adsorbs embarrassing Odors.It’s a cotton based disposable cloth pad which is to be worn with the undergarment and its antimicrobial property adsorbs all the foul odors caused due to bacteria in the intestines. - Strongly neutralizes hydrogen sulfide or unpleasant odors with the natural power of peroxide, prevents sulfide formulation and enhances organic oxidation. - Rapidly breaks down into oxygen and water. In unpleasant odour situations, it is essential that air pollution control equipment come equipped with odour control system. These systems often mask the un-agreeable smell with a storage more pleasant scent. 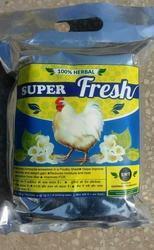 Quantity Per Pack: 50 Kg. Specially formulated chemical to remove the unplesant odour from ETP STP.